I had lunch yesterday, at Falmouth’s beautiful Indaba on the Beach restaurant, with my former Camborne School of Mines colleague, Dr. Alan Bromley. Alan was an inspiration to me during my time at CSM. He was of a rare breed, a geologist with a keen interest in mineral processing, and I suppose one of the pioneers of the then new discipline of process mineralogy. He gave a seminal lecture in the mid-70s “A geologist looks at mineral processing” which was a call for all mineral processing operations to arm themselves with microscopes and closely examine their feed and product streams, something that was never done during my time at Nchanga, despite its complex suite of copper minerals. We reminisced on how process mineralogy has evolved since then, with sophisticated automated scanning electron microscopes such as QEM*SEM now commonplace in large operations. In the early 80s, CSM was the proud owner of one of the early image analysers, the monochromatic Quantimet 720, capable of performing linear scans on mineralogical specimens. Such was the power of this machine, that it lured the late Prof. Peter King from Wits University to a sabbatical at CSM, where he worked with Alan on his pioneering research into liberation analysis. Alan inspired many others at CSM. Dr. Alan Butcher, now with FEI in Australia, a former geology lecturer at CSM, went on to do great work with QEM*SEM at CSIRO, and then Intellection. Ironically, we met another old colleague in the restaurant, Mike Hallewell, formerly mill superintendent at Wheal Jane tin mine, now with SGS in Cornwall. Mike is now a geometallurgist, a relatively new discipline which has evolved from process mineralogy. Geometallurgy relates to the practice of combining geology or geostatistics with extractive metallurgy, to create a spatially or geologically-based predictive model for mineral processing plants. It is used in the hard rock mining industry for risk management and mitigation during mineral processing plant design. It is also used, to a lesser extent, for production planning in highly variable ore deposits. 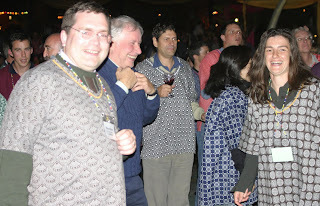 Geometallurgy is just one of the themes of Process Mineralogy ’10, which will be held in Cape Town in November. 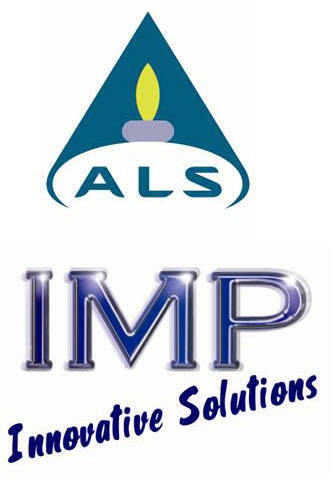 This is looking like it will be a major event, with ALS Mineralogy and IMP Holdings already committed to early sponsorship. One of the keynote speakers will be Dr. Norman Lotter, of Xstrata Process Support, Canada who will present "Process Mineralogy- a History and the Future". 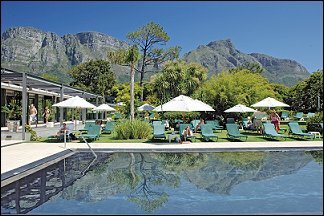 So, if you have an interest in process mineralogy (and all mineral processors should have) then Cape Town’s beautiful Vineyard Hotel is the place to be in November. 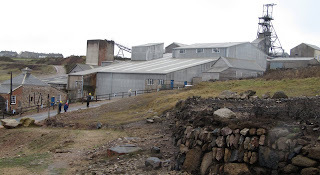 Geevor is now a museum and as the weather was so bad, we stopped in to experience the mine and mill tour. I have to say that it was disappointing. Our guide was an old miner, whose knowledge of milling was very rudimentary, and the only piece of equipment in operation for the public was a single shaking table, running in closed circuit with water. 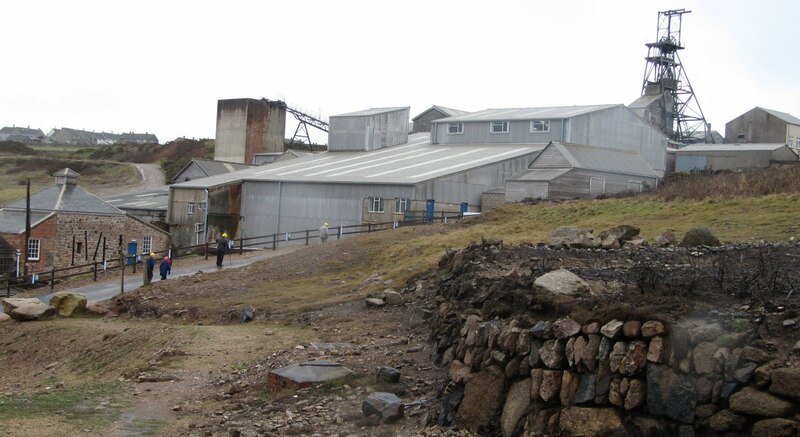 There are better mining museums in Cornwall, and over the next few months I will be visiting and reporting on these. "The comminution process is still governed by a large number of factors that influence the liberation of the valuable components in the ore. A better understanding of these basic factors will provide more certainty about the design of equipment in order to achieve the best liberation and energy efficiency. The aim is to improve our understanding of the influence that breakage and the intensity of breakage has on the particle size distribution and the liberation of the valuable minerals. Liberation enhancement is sought for two main reasons. Firstly, if liberation is achieved without needing to grind particles to fine sizes, less is spent on energy. Secondly, over-grinding is not only costly, but produces fines that tend to interfere with subsequent separation processes thus making the downstream processes both inefficient and more expensive." Over the past couple of decades great improvements have been made in comminution equipment, control and simulation, but it must never be forgotten that enhanced liberation should also be a major aim. Seventeen years ago, Keith Atkinson and I published a paper in Minerals Engineering (Volume 6 Number 7, 1993) entitled “Some observations on the fracture and liberation of mineral assemblies”. The paper considered the need to research more deeply the mechanisms of the breakage processes in comminution machines, particularly the promotion of intergranular fracture. It was shown that in order to do this control of crack propagation, and the nature and role of grain boundaries, are areas deserving most attention. I think this paper still provides food for thought, and it can be accessed on ScienceDirect. I am sure that enhanced liberation will be discussed next month in Cape Town and that high-pressure grinding rolls will be debated in this regard. Interestingly, in the latest issue of Minerals Engineering (Volume 23 Issue 5, 2010), Vizcarra et al suggest that breakage devices utilising particle-bed breakage mechanisms (such as HPGR) do not enhance the liberation properties of metalliferous ores as many previous investigations have reported. Currently around 140 delegates are registered for Comminution '10 and three exhibit booths are still available. One of these (#4) is in a prime location in the coffee/lunch area. According to an article in The Times (20th March) some of South Africa's largest electricity consumers, including the mining industry, have been asked to reduce their usage during the World Cup to ensure there are no blackouts. The country has a severe electricity shortage and the arrival of an estimated 450,000 football fans is expected to increase strain on the grid. Xstrata has said that it will move an annual maintenance programme at its energy-intensive ferrochrome smelters to coincide with the World Cup. The mining industry accounts for 15% of South Africa's electricity consumption, and has already experienced rationing from Eskom, the South African power utility. At the start of 2008 the utility was forced to limit electicity supplies after heavy rain damaged coal stocks. Subsequent blackouts forced several of the country's largest miners, including Anglo American, Anglo Platinum and AngloGold Ashanti to shut down operations for several days. The mines remained rationed for several months, and the drop in production caused metal prices to spike, platinum rising by 24% in subsequent weeks, and ferrochrome doubling, South Africa accounting for nearly three quarters of global production of these metals. So look out for further spikes in these metal prices if the World Cup leads to further overall shortfalls in electricity supply. The best ever conference dinner? We have now organised our travel and accommodation for September’s IMPC in Brisbane. There are no conference dinner details available as yet, but I am sure that the Aussies will have something special planned. Nothing brings people together better than a good conference dinner, and in recent years there have been some fine IMPC events. In the past, IMPC dinners tended to be dull, formal affairs, with endless speeches from members of the organising committee and local dignitaries. Everything changed in 2003 with the unforgettable evening at Cape Town’s Ratanga Junction, where mineral processors from all around the world danced the night away to South Africa’s hottest singers and musicians. Cape Town ’03 set the standard that had to be attained or beaten at subsequent IMPCs and Turkey laid on a wonderful event in Istanbul in 2006 with an evening of entertainment which included the country’s number one belly dancer!! A far cry from a dry speech by the mayor in the local town hall! For sheer spectacle, however, it will be hard to beat the dinner-show, set to the backdrop of the Ancestral Palace, that the XXIVth IMPC provided in 2008 in Beijing. A few photos from this event are shown here, and many more can be viewed on MEI Online. So, what are your views on the importance of conference dinners, and what were your particular favourites? We would like to welcome Dr. Stephen Neethling to our elite group of conference consultants. Stephen is a Senior Lecturer in the Royal School of Mines at Imperial College London. He obtained his PhD on the modelling of Froth Flotation from the University of Manchester, where he also worked for a number of years a lecturer. He obtained his undergraduate degree in Chemical Engineering from the University of Cape Town. Stephen will be advising us on the organisation of Computational Modelling '11, which will be held in Falmouth, Cornwall next year. Amanda, Jon and I are currently booking our flights and accommodation for this year’s major event, the XXVth International Mineral Processing Congress in Brisbane. The IMPC is the “Olympic Games” of mineral processing, and an event not to be missed. This year’s IMPC coincides with the Brisbane Festival, and for three weeks, starting on September 4th, Brisbane will be in full festive swing as over 1.5 million people enjoy the festivities. The Riverfire on Saturday September 4th promises to be noisy and colourful and will unite hundreds of thousands of people in celebration with music and fireworks in Brisbane's city centre and reverberating out to suburban streets, parks and backyards. We watched the Riverfire display in 2008, at the end of Automated Mineralogy ’08 and it is truly awesome. The large influx of people into Brisbane for the Festival does, however, mean that hotel rooms are soon booked and prices are higher than usual, so our advice is to reserve accommodation as soon as possible, and trawl the internet for cheap offers. The hotel prices offered on the IMPC website are high, and can easily be bettered with a little shopping around. A new book published by the AusIMM provides the reader with a logical series of steps to identify and solve problems within base metal sulfide flotation plants. Flotation Plant Optimisation, edited by Chris Greet of Magotteaux, contains 12 chapters, written by leading Australian practitioners in the field of froth flotation. Last night's Camborne School of Mines Annual Dinner in Falmouth was special, being the 30th anniversary reunion of the class of 1980, only the 2nd year of mineral processing graduates. Pictured above are Gavin Wonnacott, Phil Moore, Paul Lewis, me, Joe Bayah, Nick Wilshaw, Charlie Northfield, Paul Benjamin and Andy Mitchell. Charlie Northfield made headline news 18 months ago, after his daring escape from imprisonment in Gambia. It was good to catch up with Gavin Wonnacott, who I supervised at CSM for his PhD, completed in 1989. Apart from his mathematical talents, he was also much involved with the CSM cricket team, being our resident, and very conscientious umpire. Old boys came from far and wide for the reunion, but none further than Paul Lewis (left) who had travelled all the way from Sydney. It was a memorable evening, attended by over 250 past and present staff and students, and it was good to hear from the School's Director, Frances Wall, that the future of CSM is looking bright. I bumped into a number of past students this afternoon, while walking around Falmouth. They are gathering for tonight's Camborne School of Mines reunion, which promises to be a memorable affair, with the 30th anniversary of the class of 1980, one of my favourite CSM years. 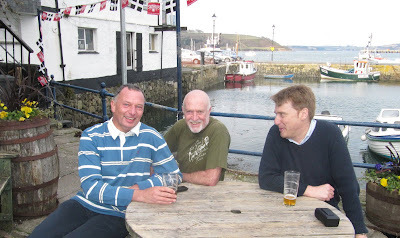 Down by the quayside pub I met up with two old boys from 1985, Andy Mitchell (left) and Paul Benjamin. Paul I have not seen since he graduated in 1985. Andy stayed on at CSM after graduating, and worked on tin smelting for his PhD, before moving to Holland to work with Billiton. 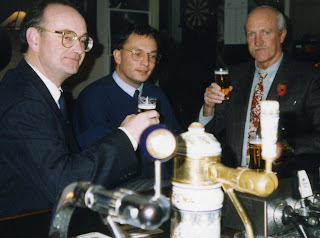 I last saw him in 1992 when Keith Atkinson and I presented a seminar at Billiton, in Arnhem (right). Ten papers presented at Physical Separation ‘09 in Falmouth last year have now been published in Volume 23 Number 4, a special issue of Minerals Engineering, guest edited by Prof. Kevin Galvin (University of Newcastle, Australia). The papers can be viewed and downloaded via ScienceDirect. 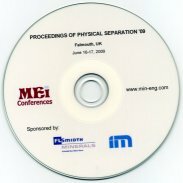 The next Physical Separation conference will be held in Falmouth, Cornwall, UK in June 2011. Amanda will be posting all the latest conference news on here as well as photos from previous conferences. Share accommodation and travel tips with fellow delegates and perhaps reminisce on past times! The current delegate list for Comminution '10, which will be held at the Vineyard Hotel (left), Cape Town, next month is now available for viewing. This will be updated regularly over the next few weeks. Impressed by the strong technical programme and international participants, Metso this week became the 8th major sponsor of this event. The conference is immediately preceded by the ICRA Workshop and the conference dinner will be at the Spier Wine Estate, Stellenbosch. 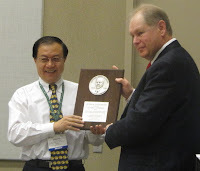 Last week I attended the prestigious Gaudin Memorial Lecture in Phoenix. But who was Antoine Gaudin? All I know of him was that he was a very well known mineral processor in the mid-20th century and was author of an important text book of mineral processing. I would love to have comments from people who knew and worked with him, to build up a portrait of this important man who had a major influence on our discipline. Antoine Marc Gaudin (August 8, 1900 - August 23, 1974) was a distinguished American mineral engineer, a professor at the Massachusetts Institute of Technology, and a founding member of the National Academy of Engineering. Gaudin was born in Smyrna, Turkey, where his father was a railroad general manager and archaeologist. He was educated in Haifa, Versailles, and Toulon, then attended universities in Paris and Aix-en-Provence from which he received his bachelor degrees in 1916 and 1917, respectively. He followed his father to the United States in 1917 to enter the Columbia School of Mines, from which he received his Engineer of Mines degree in 1921. After brief interludes in industry, Gaudin returned to Columbia in 1924 as a lecturer. In 1926 he became an American citizen. From 1926-1929 he taught at the University of Utah, and from 1929-1939 was professor at the Montana School of Mines. He then assumed a professorship at MIT in 1939, which he retained until his retirement in 1966. In World War II and subsequently, Gaudin led an MIT team extracting uranium from low-grade ore.
For his distinguished career in education, Gaudin was awarded several of the highest honors bestowed by the American Institute of Mining, Metallurgical, and Petroleum Engineers. Sixteen papers presented at SRCR '09 in Cape Town last year have now been published in Volume 23 Number 3, a special issue of Minerals Engineering, guest edited by Prof. Markus Reuter (Ausmelt, Australia) and Prof. Kari Heiskanen (Helsinki University of Technology, Finland). The papers can be viewed and downloaded via ScienceDirect. 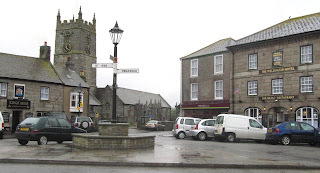 The next SRCR conference will be held in Falmouth, Cornwall, UK in May 2011. Short of scrolling through the blog, it is not easy to find new comments on postings, so periodically I will be listing the new comments in this section - Comments Alert. Naturally I am very pleased with the news, reported in MEI Online, that Minerals Engineering and International Journal of Mineral Processing have received the highest possible ratings of A* by the Australian Research Council, as part of its Excellence in Research initiative. The list has been prepared by many committees, the aim being to rank journals relatively within specific discipline areas, rather than ranking all journals absolutely. The question they tried to answer was: where do the best people in a given field like to publish their papers? This is a much more sensible approach than the dubious impact factor guide, and I hope that other countries will adopt this method of grading. The Elsevier journal Hydrometallurgy also received an A* rating. Earlier in the week Farley Ribeiro, of Anglo American Brazil, became the 400th member of the Minerals Engineers group on LinkedIn. I have also started a sub-group, Minerals Engineers in Cornwall, which I am hoping will bring all the minerals engineers in the region together. 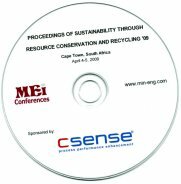 Delegates at all MEI Conferences are encouraged to display their company, institution, or conference literature. We provide an exhibit booth for this, or if no exhibition, a literature display table. Until fairly recently the SME provided a literature display area, but no longer. In fact there seems to be a policy that only SME material be displayed. 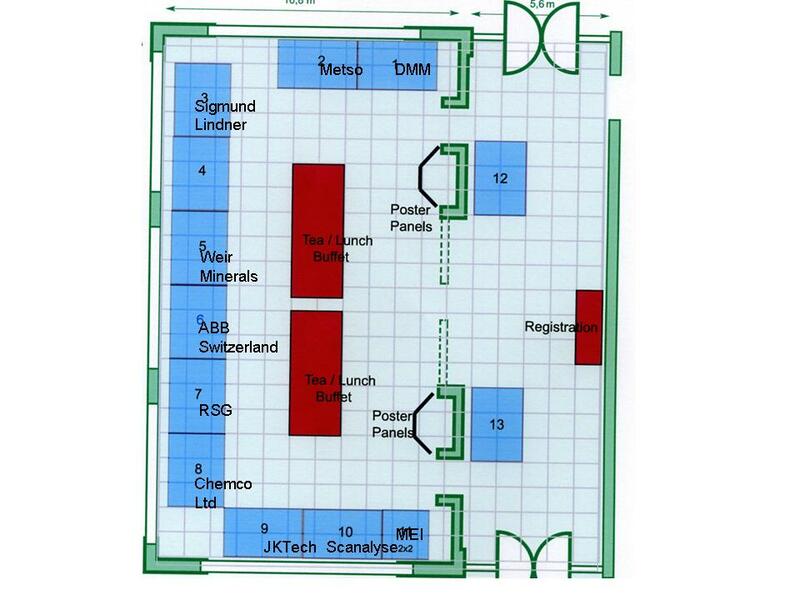 I left MEI Conference flyers in stategic areas in the exhibition and technical session areas, but they soon disappeared, not, I feel sure, by eager mineral processors, but more by the SME staff. This is a very narrow-minded policy. Surely the more that people mix at events all over the world, the more they will hear of other events. This is certainly our view, so come on SME, how about a return to the open literature display stands next year in Denver? I thought briefly about hopping from paper to paper, but then thought better of it and spent my time at the exhibition. This morning I attended the prestigious Gaudin Lecture, which was established in 1975 in memory of Antoine Gaudin. 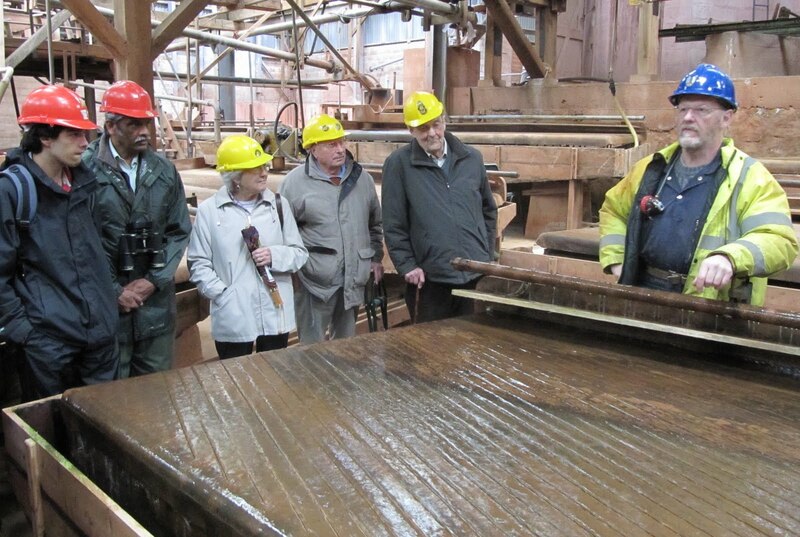 The recipient of the award was Glenn Hoffman (near left in photo), President of Cardero Iron Ore Company. Although no abstract was available, and the affiliation of the speaker was not published in the programme, the title of the talk "Truth and consequences: a prescription for innovation in the minerals industry" attracted a fairly large audience of mineral processors, most of whom were probably disappointed by the very narrow theme of the lecture, dealing with very specialised areas of iron ore processing. The only item of interest to me was that innovation skills can be learned, for instance by networking with people outside your own specialised field. While waiting for the exhibition to open, I called in at the SME bookshop, where I met up with Sam Sutherland of ArrMaz Custom Chemicals, USA, who was just purchasing a copy of my book, which is on display. 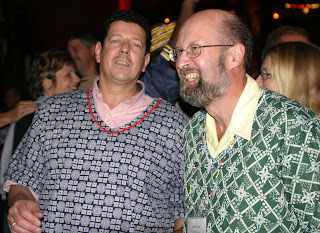 He is pictured here with Prof. Gregory Adel (left) of Virginia Tech. Then on to the exibition, where I called at the large Metso stand, to meet Keith Ference, who deals with global marketing communications. He expressed great interest in MEI Conferences, and agreed to sponsor Comminution '10 next month, our 8th sponsor of this major event. Then back to the hotel for some rest before the long journey home, which looks like being very long as BA phoned to inform me of a 2-hour flight delay. Phoenix has been disapponting in many ways, but I am sure there will be a larger mineral processing contingent next year in Denver, where Jon and I will take advantage of the ideal mix of networking and skiing! Another email in this morning from Juan Yianatos in Valparaiso. He has been in contact with people from El Teniente, and they are now starting the operation with limited power (120 MW only). This is only enough to operate approximately at medium capacity (75000 tpd). It is expected to recover the full operation in about 7-10 days. The exhibition did not open until 11am today, so I spent an hour or so in the registration area looking out for people that I knew. My first impression was that mineral processors were very thin on the ground this year. Last year in Denver Jon and I were meeting them in groups but this time I saw only individuals, and not many of them. Had a chat with Raj Rajamani of University of Utah, who will be in Cape Town next month to give a paper at Comminution ’10. 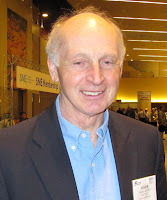 Then Guy Deschenes of CANMET, an excellent reviewer for Minerals Engineering, who I would like to have seen at Precious Metals ’10 in June, but unfortunately the confidentiality of his present work precludes that. I had a long talk with Fathi Habashi of Laval University, who, at 81 years of age, is still as enthusiastic as ever, travelling the world presenting short courses and papers, as well as writing and publishing technical and mining history books. Fathi is presenting two papers at this meeting. And then the SME threw one of its surprises when I bumped into someone I had not seen for 40 years, Roger Sawyer, a fellow metallurgist at Nchanga in 1969. We reminisced a little about the Copperbelt and the people that we still keep in touch with. 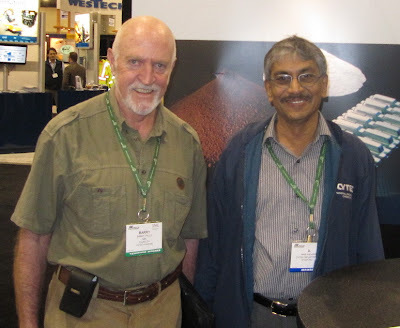 Roger is now with Rio Tinto in the USA, a principal advisor on mineral processing technology and innovation. I had a light lunch in the exhibition area with Alan Butcher, formerly with Intellection, but now with FEI, and Hanna Horsch of Hazen Research, USA, after which I strolled around the exhibition. 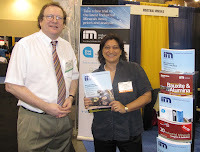 Our media sponsor for Comminution '10, Industrial Minerals, represented by Mike O’Driscoll and Ismene Clarke, was attracting interest, but it was noticeable that many of the mineral processing booths were not particularly busy, and when I met up with ‘Nag’ Nagaraj of Cytec, and editor of International Journal of Mineral Processing, he enlightened me. This year there isn’t the attraction of a mineral processing symposium, the theme of the conference being 100 years of mining research. Next year in Denver should see the mineral processors out in force again, attracted by the Yoon mineral processing symposium. Australia’s JKTech have a high profile presence at all major meetings, and are sponsors of MEI’s Comminution ’10 and Flotation ’11. 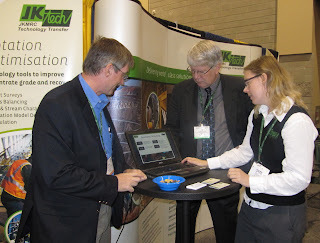 Representing JKTech for the first time was the new Mining and Geometallurgy Manager, John Jackson, seen (left) with Mark Richardson of Contract Support Services, JKTech’s North American agents, and Sarah Schwarz, the Technology Transfer Manager. Having seen or heard no news for the past couple of days, while travelling to and registering at the SME, I was shocked to hear last night of the major earthquake in Chile. The Times Online reports this morning that the death toll has risen to over 700. The Financial Times reports that, devastating as it was, casualties and infrastructure damage have been lighter than would have been expected from the magnitude of the quake, due largely to the country's sophisticated infrastructure, as well as the geographical location of the quake. Chile's top copper mines also managed to escape much damage because of such factors, though the commodity market still reacted to the earthquake with precautionary buying of the metal, and the price is likely to rise over the next few days. The earthquake did hit several medium-sized mines in Central Chile. Codelco, the state-owned company, halted production at its El Teniente and Andina mines, while Anglo American stopped activity at Los Bronces and El Soldado. Codelco says that they are expecting to resume production after minimal damage, while Anglo American said that it was waiting for electricity to be restored following the quake. The combined production of these four mines equals about 20% of the country's regular production. But it is people that matter. I contacted Juan Yianatos last night, who is Professor at Santa Maria University in Valparaiso, near Santiago. Thankfully he and his family are fine. He also advised that the people at El Teniente, El Soldado and Los Bronces are safe. That at least is good news and our thoughts are with our many friends and colleagues in Chile.